Showtime App is a ready-to-go, feature-rich mobile app product exclusively developed to easily create a mobile app for any trade show event, conference / meetings. 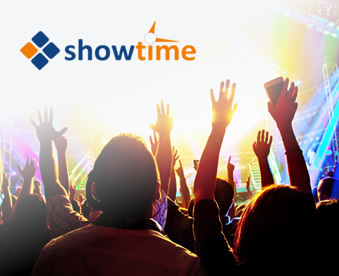 Showtime – Mobile Event App from ANGLER allows event organizers to create a professional mobile app for their event. This event management app developed by our team is user-friendly, and it enhances attendee’s experience. The mobile app for event organizers gives attendees quick access to vital event details enhance delegate, sponsor, speaker experience & interactivity between the audience & organization even before and after the event. We have created the mobile app with intuitive features to cater to the growing demands of the event organizers. The app is meant to make organizers get their event content into their attendees’ hands, there by delighting their audience and maximize their return on investment. It allows attendees to view the event location, set remainders on various sessions /schedules, ask real-time questions, share event photos, network with peers, get/ push information about the conference etc. The event mobile app can be scaled effortlessly and made to remain a perfect companion for managing meetings and conferences either big or small. With this app an organizer can collect feedback from participants, get insight information and determine the event success. Our team of mobile app developers has developed mobile event apps for major mobile platforms such as Android and iOS. If you’re looking to organize a meeting, conference, tradeshow event, then create a mobile application to get the attention of the growing smartphone community and to get the most out of the event in a cost-effective way.